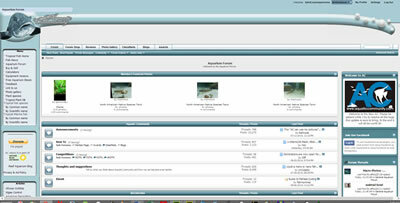 If your just getting into the aquarium hobby it is sure to be an overwhelming venture. Even for a seasoned vet there is such a massive amount of information that you need to best care for your animals and an even larger amount of information available, often conflicting information too. Wouldn't it be nice if you could talk directly to thousands of individuals who are interested in the same hobby as you, and they could teach you based on your individual needs without costing you a penny. The Tropical Fish Keeping Forum is dedicated to the open discussion and education about tropical fish care and aquaria for the maintainance of freshwater fish, aquatic plants, saltwater fish, the coral reef, and related aquatic herptiles and invertebrates. 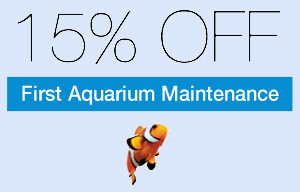 Aquatic Community is a resource and meeting place for tropical aquarium fish keepers. 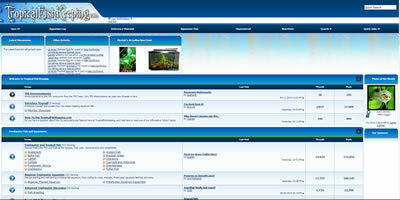 AC Tropical Fish has grown into a comprehensive aquarium portal featuring information not only about Tropical freshwater fish but also about saltwater aquarium fish, invertebrates, corals and coldwater fish. We hope you will enjoy your stay here at AC Tropical fish. 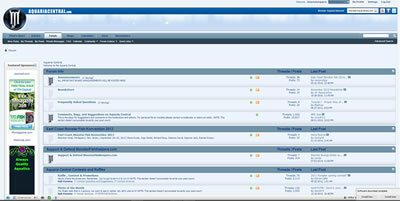 Aquaria Central forums - Freshwater and Marine Topics of Discussion. Includeds high user base and tank of the month section. Reef Central is where quality information about the marine and reef aquarium hobby can be exchanged among all levels of hobbyist from beginner to advanced. Our goal is to help educate people about the saltwater aquarium hobby and enhance awareness of the fragility of coral reefs.